Additionally, hedge funds can be exempt from being defined as “investment companies” under the Investment Company Act of 1940, and thus exempt from registration with the Securities and Exchange Commission (and ongoing disclosure and filing requirements). Hedge funds whose outstanding securities are beneficially owned by not more than one hundred persons are exempted under Section 3(c)(1), and hedge funds whose outstanding securities are owned exclusively by qualified purchasers are exempt under Section 3(c)(7). Because there are higher threshold requirements for qualified purchasers, there are generally fewer 3(c)7 funds than 3(c)(1) funds,. In addition, 3(c)(1) and 3(c)(7) funds must also not make, nor propose to make, public offerings, which is another condition for being exempt from the definition of an investment company. 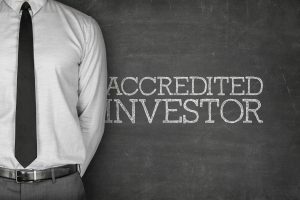 Sections 3(c)(1) and 3(c)(7) may be the more common vehicles of exemption for hedge funds, but they are not the only way in which a business entity can avoid being defined as an investment company under the Act. For example, section 3(a)(5) can allow a finance subsidiary to avoid securities regulation if it invests or loans at least 85% of its cash to its parent company. On the other hand, section 3(c)(5)(C) can provide exempt status for investment issuers primarily acquiring mortgages, liens, and other interest in real estate. Also, section 3(c)(9) is helpful for entities which hold and issue investments in gas, oil, and mineral royalties or leases. Because these exemptions are highly contingent on the nature of the securities held by the investment entity, it is important to consult with a California corporate and securities attorney to determine which exemption will properly apply to your particular investment fund. Violations of securities law or noncompliance with securities regulation can be the end of any investment business. The skilled corporate and securities attorneys at Structure Law Group have extensive experience in enacting compliance policies which protect investment businesses and hedge fund managers. Call (408) 441-7500 today, or email slgadmin@structurelaw.com to schedule your consultation with an experienced California corporate attorney.